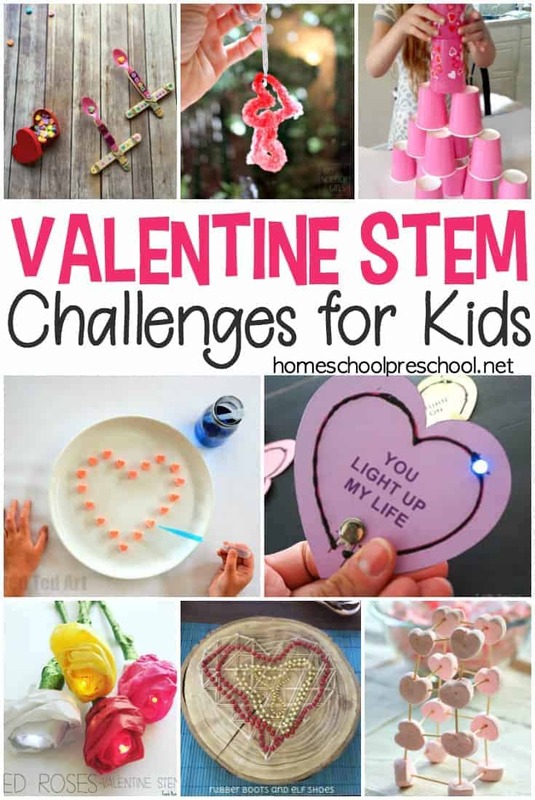 Come find a wonderful collection of fun and engaging kid-friendly crafts for Valentines Day! These easy craft projects are the perfect way to share some love. Kids love sitting down to create special art projects to put on display. More than that, they love sharing their creations with those they love. 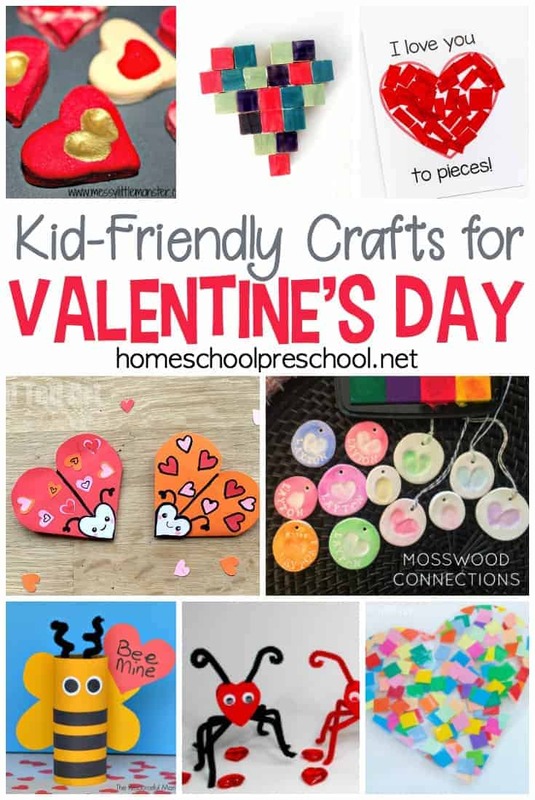 With so many simple crafts for kids featured below, you’ll have a hard time deciding which Valentines Day craft to do first. I love the way melted crayon wax in these Crayon Melt Valentines makes them look like stained glass art. Young crafters may need quite a bit of help making these Love Bug Bookmarks, but older kids can make them on their own! If you’re like me and have a ton of random stickers lying around, put them to good use by having your child make this Easy Valentine Sticker Heart. Heart crafts are always fun to do around Valentine’s Day. Your preschoolers will enjoy creating a cute Valentine’s Day Heart Cat. Turn your child’s fingerprint into a lovely keepsake when they make these Fingerprint Heart Charms. This Paper Heart Mobile is simple to make and will look very festive hanging in your preschool room. This fingerprint heart frame is easy enough for even your toddlers to make this Valentine’s Day. Contact paper and tissue paper squares are all you need to make these festive heart-shaped suncatcher mosaics. These clay heart print Valentines will make keepsakes you’ll treasure for years to come. You don’t want to miss this adorable Bee Mine Valentine Day craft! Turn an empty toilet roll tube into a festive bumblebee for the holiday. Kids will work on their fine motor skills as they create these Love Bugs this Valentine’s Day. I’m totally saving this one for my grandson! These fingerprint heart magnets will look great adorning my refrigerator next year. Decorate your Valentine’s Day dinner table with these painted heart tea light holders. Your kids will be so proud to help you set the table when they created the centerpiece! My daughter would have loved making one (or many) of these easy Valentine paper necklaces when she was younger. Paired with her favorite pink bow and fluffy tutu, she’d have been all dressed and ready for Valentine’s Day dinner. 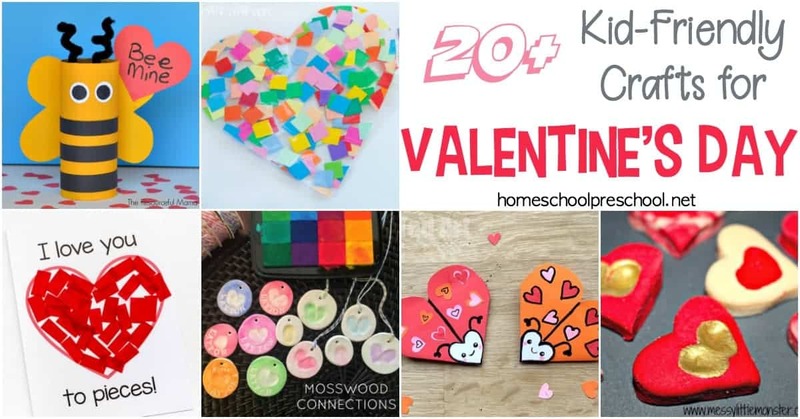 You’ll never believe what the kids used to decorate this colorful mosaic heart magnet craft! It’s such a great idea. 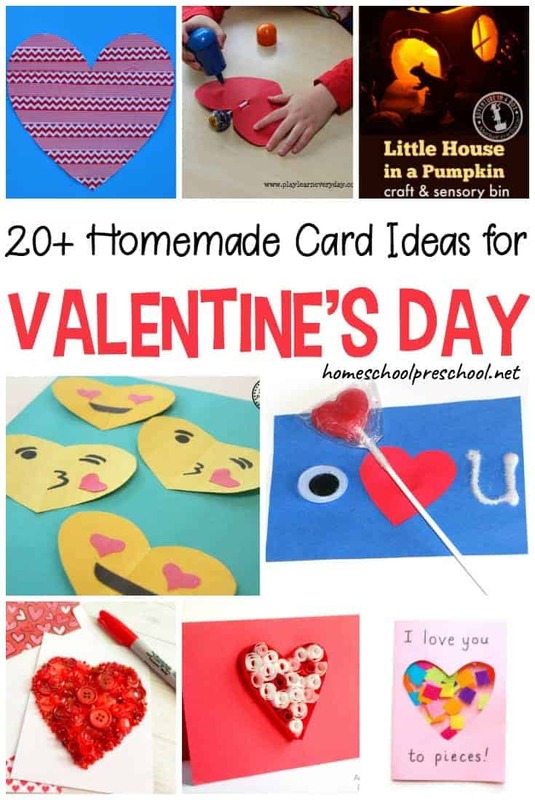 Whether you make this Valentine’s Day craft for toddlers to give out in your preschool class or you make it to hang on the fridge, I’m sure it’ll become a treasured keepsake. Here’s another fun melted crayon heart project your kids can make to display or to give to their loved ones. 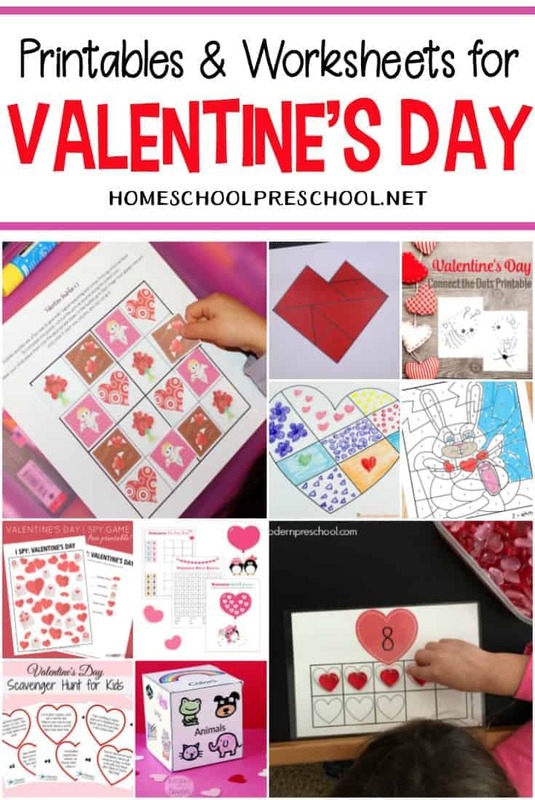 This Valentine’s Day Heart Gift Bag Craft will have your little ones fine tuning their fine motor skills as they create a handmade gift bag to share Valentine’s Day. My daughter loves putting up window clings for the holidays. But, we’ve never made our own. Your kids can, though, with this tutorial for making Valentine’s Day window clings. This craft isn’t for the faint of heart. It looks like it can certainly get a little messy. But, if you’re not afraid of a little mess, show your kids how to make these colorful marbleized heart crafts. This I Love You to Pieces Valentine’s Day craft is simple enough for toddlers to create while still holding the attention of preschoolers. From no-prep activities to “this could get messy”, there’s something on this list for all of your kids to try!